Peter Murphy just wrapped up his Stripped tour, which featured the legend performing stripped down versions of career-spanning classics (Bauhaus, solo material, covers). Now Murphy has revealed that fans who missed the tour will have an opportunity to enjoy some of Stripped at home. He's releasing a live album titled Bare-Boned & Sacred which features 12 songs captured live during the New York stop of the tour. The tracklisting has not been posted, though it is confirmed that a cover of David Bowie's "Belway Brothers" will be included. Pre-order Bare-Boned & Sacred through Metropolis Records. 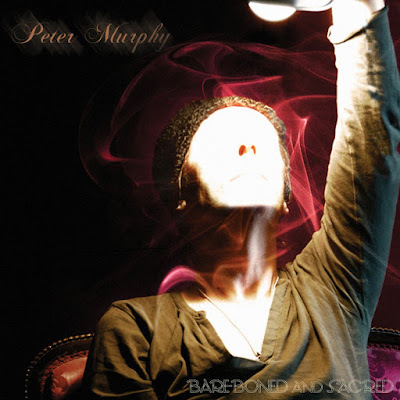 Meanwhile, Murphy has revealed he's working on other projects and has "so many plans afoot" so it sounds like 2017 may be an exciting one for Peter Murphy fans. Read more about that here.